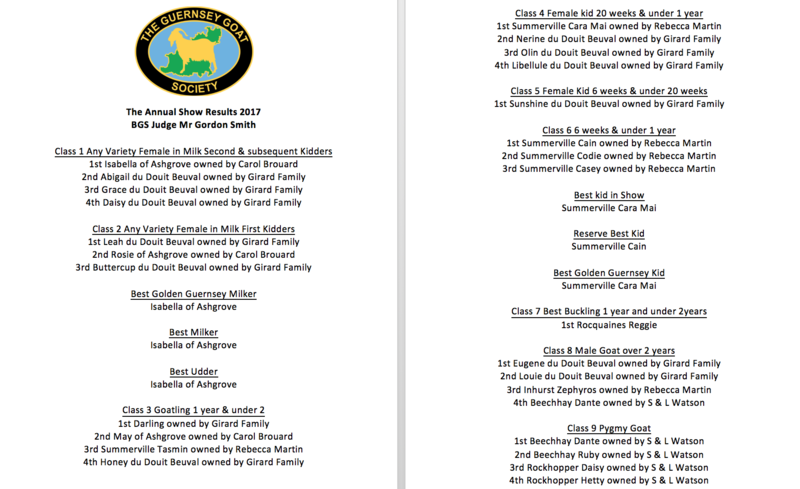 Our Annual Show 2017 was held on a very sunny Saturday 26th August. Once again we were lucky to have beautiful weather for the whole day which made the preparations, showing, cafe & barbecuing feel exceptionally Summery! Thank you to our BGS Judge Mr Gordon Smith for his expertise on the day. 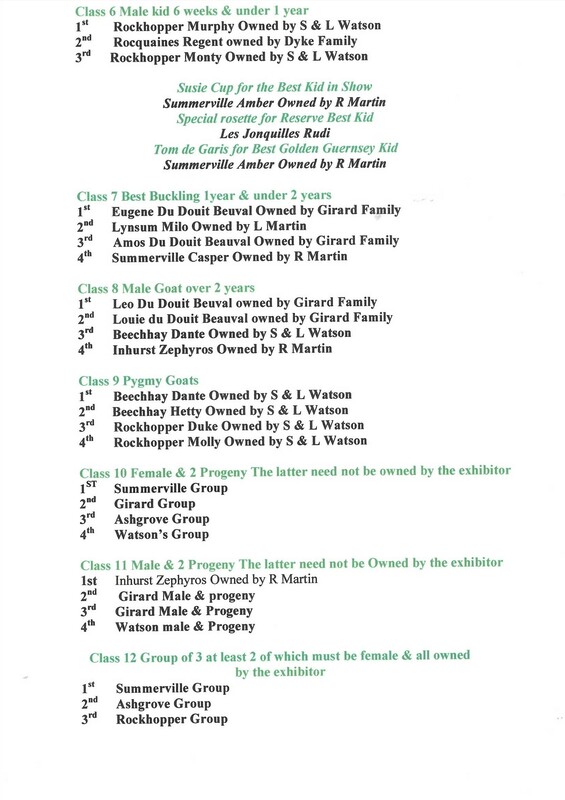 We would like to thank all our competitors, spectators, supporters and volunteers for their continued support in the most important event in The Guernsey Goat Society annual calendar and look forward to an even bigger, better show next year! 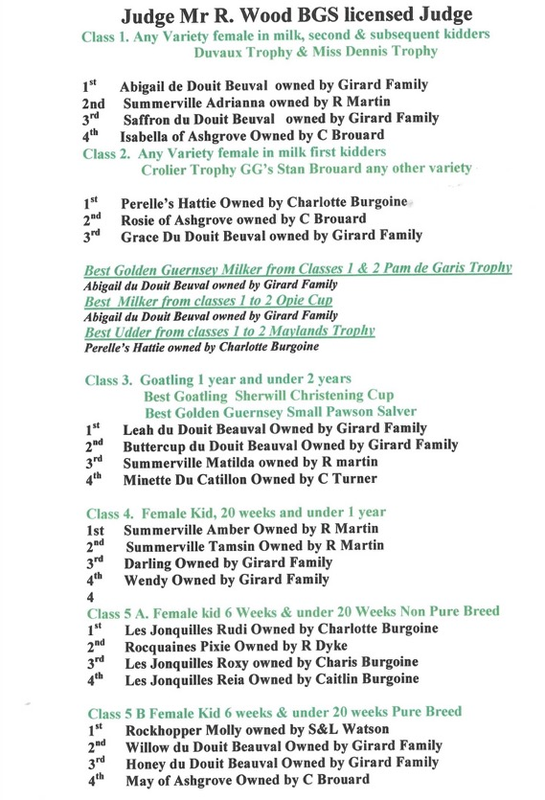 Our Annual Show was held on Saturday the 27th of August, we were blessed with beautiful weather and a great number of entries to the classes. We would like to express our gratitude to our judge Mr Richard Wood who made a flying visit to us to cast his expert eye over our exhibitors. 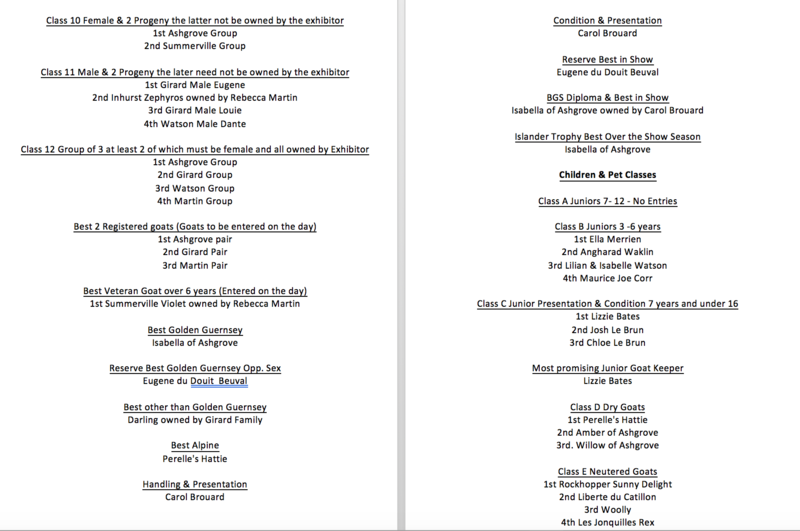 Thank you to all who participated and those who supported TGGS to make this a truly great show - here's to next year! Aside from our successful shows of 2015 our big news was the unveiling of our refreshed logo. We have branded merchandise available in our 'Goat Shop' along with other goat related goodies! 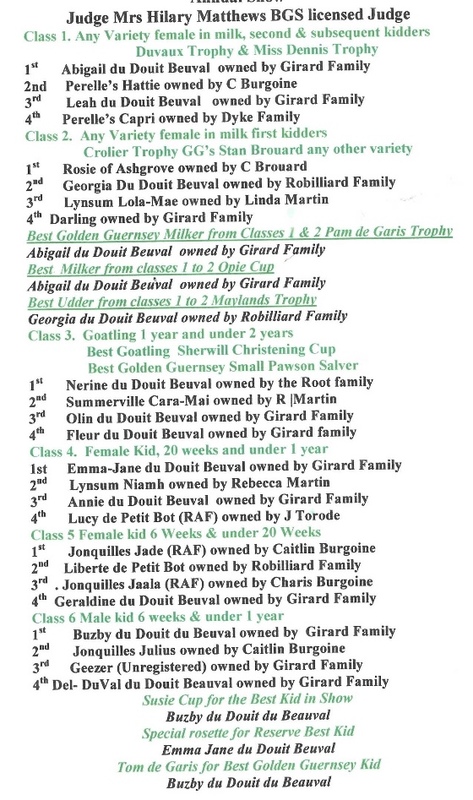 "The Animal Welfare (Guernsey) Ordinance, 2012 makes castration of livestock by livestock keepers or owners illegal unless licensed by this Department. This includes the use of elastrator rings and any other techniques. Any livestock keeper who wants a licence to castrate lambs, kids or calves will need to demonstrate competence in the technique to an officer of the Department in order to obtain a licence. A licence will only permit the castration of an animal within the first 7 days of age of its life. Alternatively castration can be carried out by a registered veterinary surgeon using an anaesthetic. 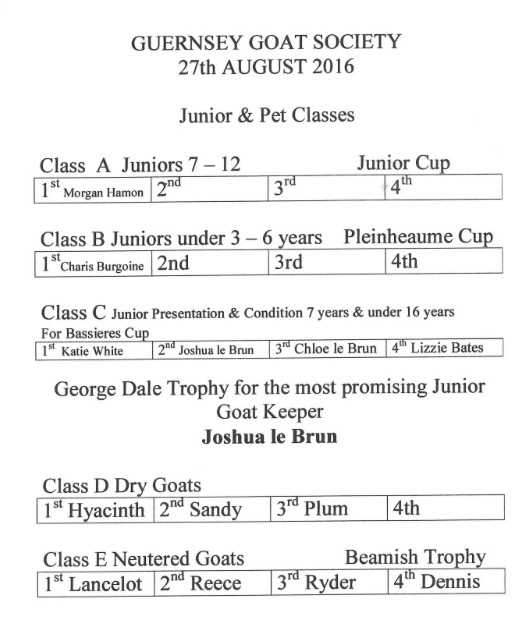 Failure to comply with the Law could result in prosecution under the Animal Welfare (Guernsey) Ordinance, 2012. The Department will be writing to all livestock keepers to make them aware or remind them of this restriction." 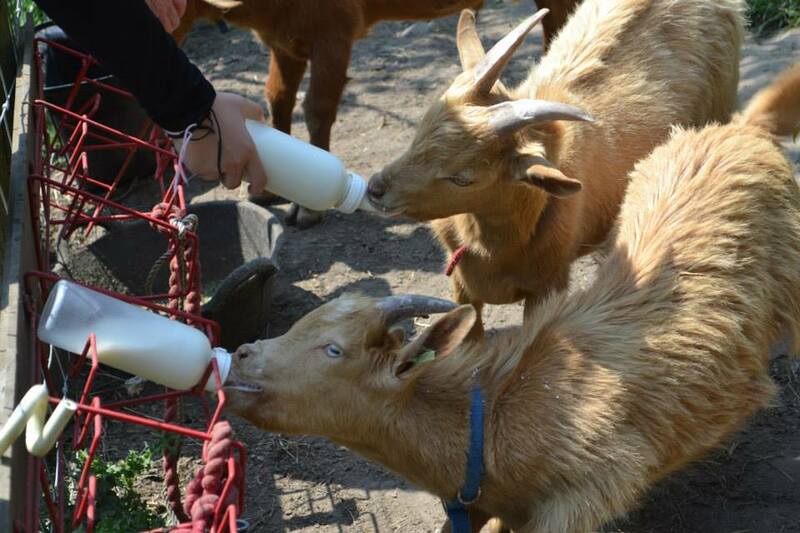 Peter & Mandy Girard have kept goats since 2000 and now have a small herd in St Peters. 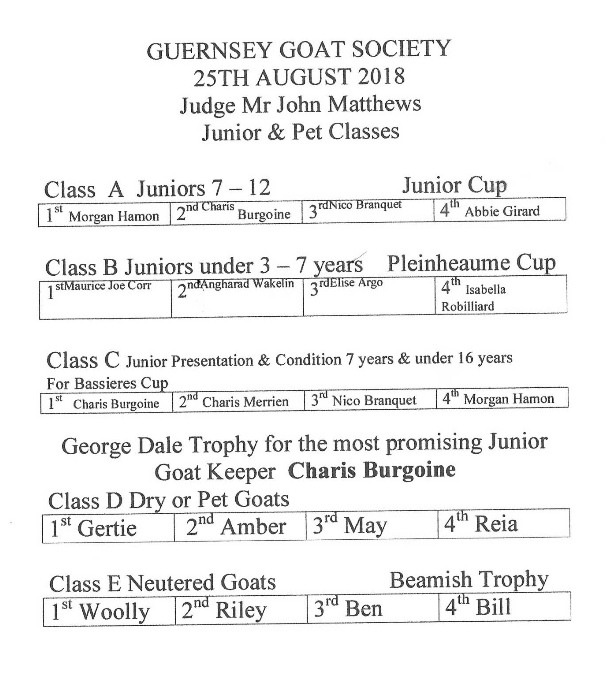 They sell cheese, yoghurt and milk to pay for their hobby & try to keep the rare Golden Guernsey breed alive by selling on the kids and encouraging others to start goat keeping. 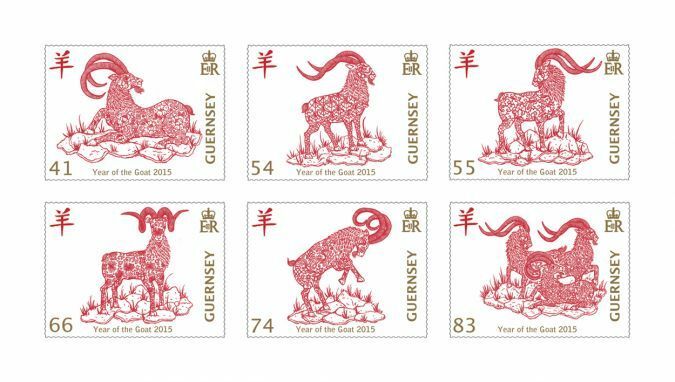 To celebrate Chinese Year of the Goat Guernsey stamps have created a beautiful selection of themed stamps for purchase. Please find more on offer at Guernsey Stamps. 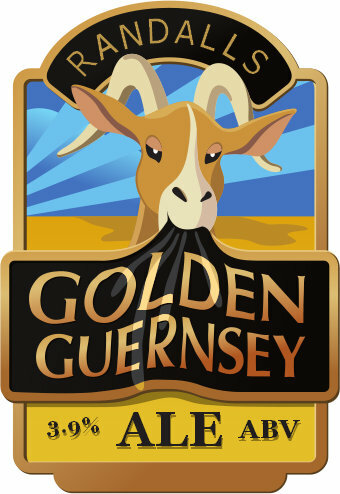 Last year Randalls produced a beautiful light ale called the 'Golden Guernsey'. We loved their logo & asked when it was coming back but the specific hops used to create the beer are proving difficult to come by this year - sad news!